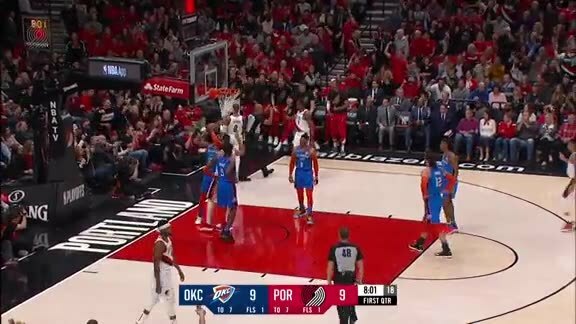 In this, the 164th edition of the Rip City Report we look at Trail Blazers versus Thunder in the three-six matchup, the bad blood between the two teams, Paul George and Russell Westbrook's dominance against the Blazers this season, how the Blazers’ recent playoff failure impacts the series, the wild season finale and Anferee Simons’ rookie moment, play a Playoffs round of "Walton or Oden" and finish by answering listener questions about playoff X-factors, spending time in OKC, Moe Harkless’ headband, the Blazers’ advantage vs. the Thunder, pick-and-roll coverage, Simons’ chances of playing in the postseason and much more. I don't type this often, but I'm proud of this one, both in terms of the content and the production. We're bringing our best as well for the postseason. You can listen and/or subscribe to the Rip City Report on iTunes, Soundcloud, Stitcher, TuneIn, Google Play and Spotify. And as noted multiple times during the show, we'll also be doing a live, Facebook-based edition of the Rip City Report before every home game, so be on the lookout for that prior to Game One.